Retail consultant Karen Arundel has joined the team at the independent department store Sandersons where she will be heading up the buying department as well as leading on merchandising and staff training. Karen has more than 17 years of experience working at the successful Yorkshire department store Brown’s, she is now working with the team at Sandersons on a consultancy basis at the company’s Fox Valley store. Sandersons is a wholly owned subsidiary of retail property firm Dransfield Properties and Karen is also joining the DPL board as a non-executive director. The independent department store was opened in September 2016, four months after the Fox Valley development was officially opened by Joanna Lumley OBE. 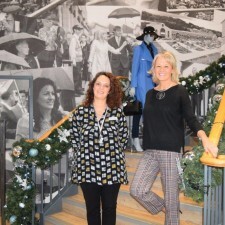 The store was founded by Deborah Holmes who is also a director of Dransfeld Properties and has appointed Karen to the team as part of the store’s plans for growth. Since opening, the store has built up a strong reputation for its great mix of brands as well as championing local businesses and bringing a fantastic range of organic, cruelty free and vegan skin care and beauty products to the region. Sandersons is also home to Costa Coffee’s first concession in an independent store. Womenswear brands include Tommy Hilfiger, Ted Baker, Masai, Part Two, Barbour and Hobbs. The ground floor Beauty Lounge features products from brands including Green People, Caudalie, Inglot, Make Up Atelier Paris and Inika with exciting future plans to extend the offer. The store has also recently extended its menswear department with a great range from brands including Ted Baker, Tommy Hilfiger, Guide London, Joules and Remus Uomo as well as Barbour. Karen will be working alongside the store’s strong team with Lisa Fox who has been store manager since the store was launched. Sandersons was shortlisted in the Drapers Independent Awards in September this year. 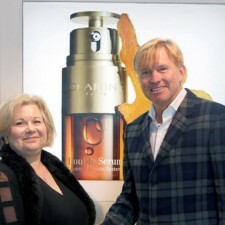 Picture shows Karen Arundel with Sanderson's Store Manager Lisa Fox.